The regulator steps up actions ahead of Royal Commission report. Summary: Since the start of January, ASIC has taken more than a dozen actions including imposing bans against advisers. Key take-out: The regular has issued orders against Commonwealth Financial Planning. Australia’s corporate regulator ASIC is ramping up its enforcement activity against the financial advice sector, with its latest scalp the Commonwealth Bank’s financial planning arm. The ramp-up in activity has been taking place in the lead-up to the release of the final report of recommendations from the Royal Commission into Misconduct in the Banking, Superannuation and Financial Services Industry. ASIC has now ordered Commonwealth Financial Planning Limited (CFPL) to cease charging or receiving ongoing service fees from its customers, and to not enter into any new ongoing service arrangements with its customers. 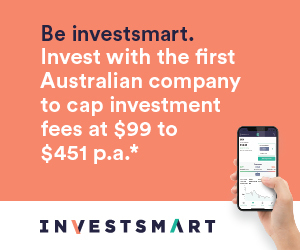 This relates to CFPL failing to provide ASIC with an attestation and with an acceptable final report from independent experts Ernst & Young by January 31, both of which were required under a court enforceable undertaking (EU) entered into with ASIC last April in relation to CFPL’s fees for no service conduct. Ernst & Young has now identified further concerns regarding CFPL’s remediation program and its compliance systems and processes – including that there remains “a heavy reliance” on manual controls, which “have a higher inherent risk of failure due to human error or being overridden”. Under CFPL’s remediation program overseen by ASIC, CFPL has to date reported to ASIC that it has paid approximately $119 million to customers impacted by its fees for no service conduct. ASIC has received CFPL’s confirmation that it is complying with this requirement to stop entering into new ongoing service agreements and to cease charging existing clients fees under these agreements. This requirement will continue until CFPL is able to satisfy ASIC that all of the outstanding issues have been remedied. ASIC will be monitoring CFPL’s compliance with this obligation. ASIC has also been informed by CFPL that it is now in the process of transitioning its ongoing service model to one whereby customers are only charged fees after the relevant services have been provided. ASIC will monitor CFPL’s transition to the new model. Separately to its actions against the Commonwealth Bank, ASIC has been stepping up its actions to ban financial planners and cancel the financial services licences of a number of non-complying firms. AAT upholds ASIC’s decision to refuse AFS licence.